The Nor'easters score four goals in the first half on their way to a 5-0 victory. The Huskies get late goals from C.C. Pelletier and Emma Dennison to beat SUNY-Maritime. 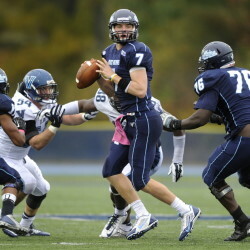 Black Bear defense can only hold up for three quarters against BC. Nigel Beckford suspended for season opener at Boston College for violating student code of conduct. The senior defensive ends hope to disrupt an inexperienced Eagles' offensive line Saturday. 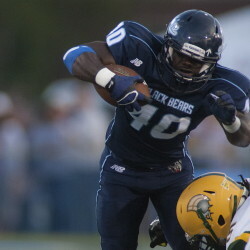 The Black Bears jump out to a 3-0 lead in victory. 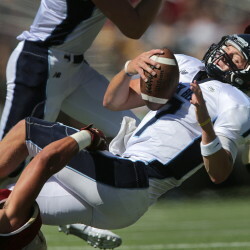 Players and positions to keep an eye on during UMaine's season opener at Boston College. Coach Jack Cosgrove chooses the junior over sophomore Drew Belcher. The Nor'easters score twice in each half for a 4-1 victory.